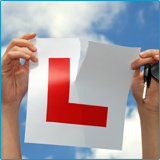 After you have passed your Practical Driving Test you might feel a little nervous about driving all by yourself. That’s when Pass Plus is of great help. We offer our Pass Plus lessons in Derby and surrounding areas. 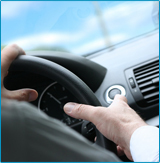 Doing a Pass Plus course will give you the Driving Experience that otherwise would take you a long time to acquire. Besides making you a better driver, once you have obtained the Pass Plus Certificate, it will entitle you to great discounts on your insurance. To complete the Pass Plus Course you must take a minimum of six Driving Lessons each lasting an hour. There is no Test at the end but, you must reach quite a high standard. We’d like all our students to do a Pass Plus Course but, of course, that’s your choice. See the Prices page. We have a very special price for Pass Plus. Our Pass Plus Driving Instructor, who is registered with Derby City Council will be able to give you more information.